When the crisp Fall air descends upon us and the Autumnal days of September make their grand entrance, so does my loaf pans and pumpkin spices. The fireplace is burning and the pups are huddled in front of it. 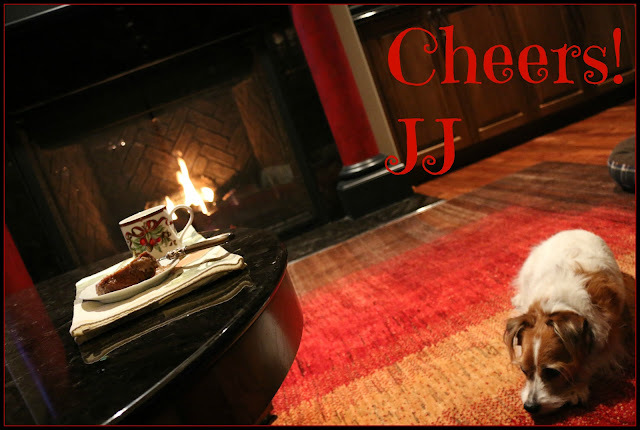 Moist and delicious with cinnamon, nutmeg and cloves and drizzled with JJ's delicious Penuche Frosting. And using my favorite new small appliance, my instant pot! 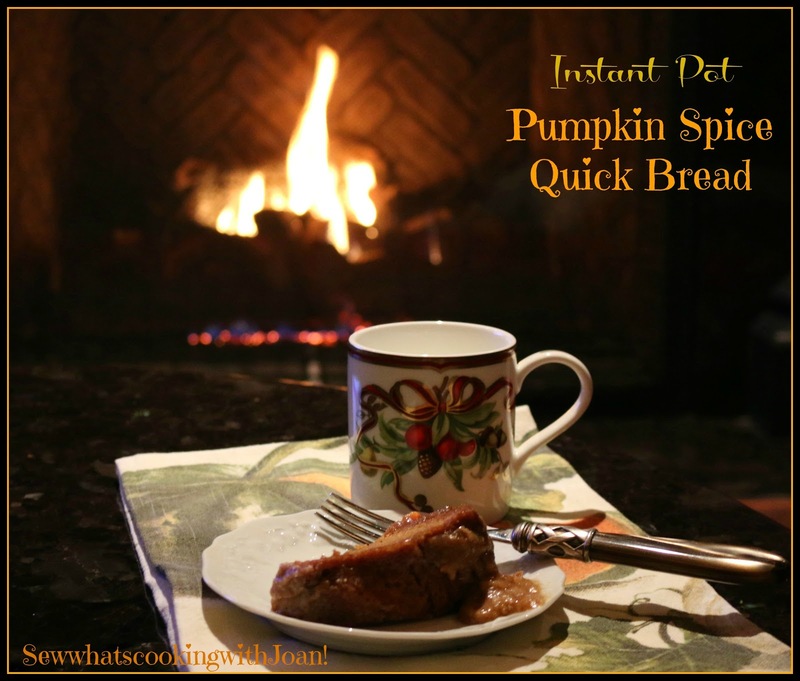 If you are craving the flavors of Fall, this delicious Pumpkin Spiced Bread will deliver......especially with a cup of something warm! 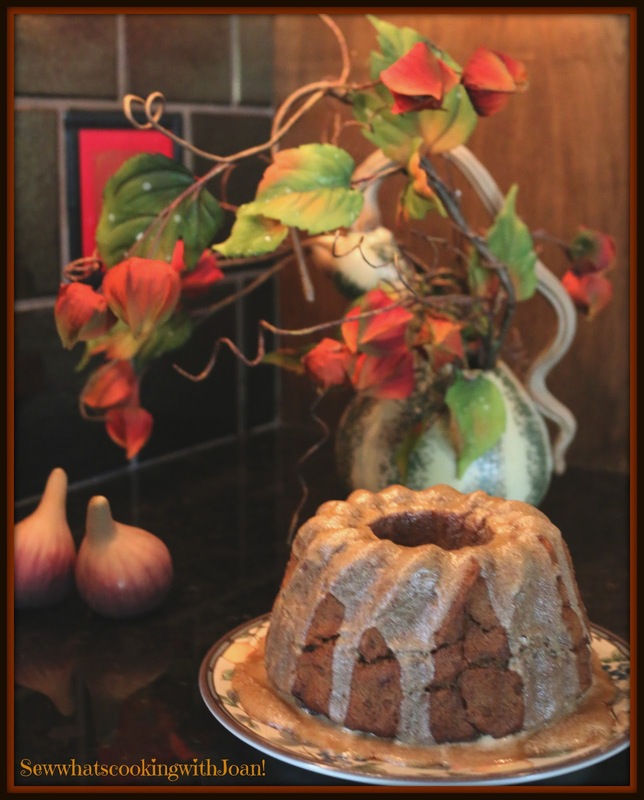 Use baking spray or butter and flour a half size bundt pan. Beat sugar and oil in a large bowl to blend. Mix in the eggs and pumpkin. Sift the flour, cinnamon, nutmeg, baking soda, salt and baking powder into another bowl. Mix into the pumpkin mixture in two additions. Fold in the pecans, if desired. Pour the batter into the prepared pan. Cover with foil. Put the trivet into the instant pot, and 1 1/2 cups of water. Put the bundt pan onto the trivet. Lock the lid in place, close the valve and select "High Pressure" for 25 minutes. When it beeps allow a 10 minute "Natural Release"and then a "quick release" to release remaining pressure. When the valve drops carefully remove the lid. Carefully remove the pan from the pot using the trivet handles and IP mitts. Place on wire rack to cool uncovered for 10 minutes. Then turn out of the pan to cool completely on the wire rack. This is a delicious frosting I developed when I was very young. It has a caramelly delicious flavor that I find is perfect for pumpkin scones, muffins and bread. 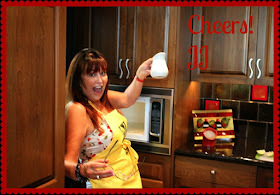 To see the complete blog, click on the title! In medium saucepan, stir together over medium heat brown sugar, heavy cream and butter, until butter melts and sugar dissolves. Increase heat to medium high and bring to a low boil. Stir and let boil for 3 minutes. Remove from heat and stir in vanilla. Pour over the sifted powdered sugar, whisk or use a electric hand mixer until smooth and light in color, about 1 minute. Cool icing.....it should fall in a thick ribbon from the spoon, about 12 minutes. Spoon the Penuche over the cake, letting it drip down the sides of the cake. Let it stand until firm...if you can!! For more Instant Pot Recipes- Click on Master Recipe List on top of list!